For many young athletes, the prospect of making it to the professional level is surreal. They dream of the opportunity to play the sport they love as a career and get compensated to do so. For Lehigh men’s lacrosse coach Kevin Cassese, this dream became a reality. Cassese played at Duke University, where he helped lead the Blue Devils to three NCAA Tournament appearances and two ACC Championships before graduating in 2003. He also won the McLaughlin Award as the nation’s top midfielder in 2002 and was named the MVP of the Major League Lacrosse All-Star Game as a member of Team USA in 2006. 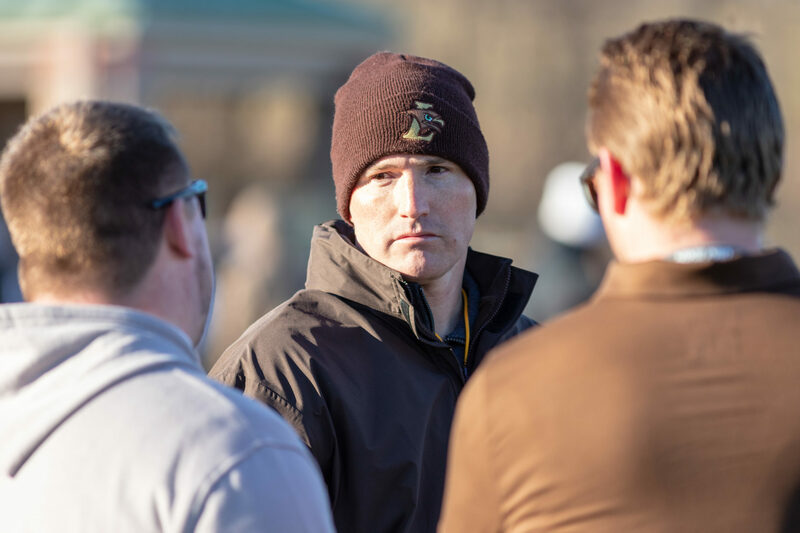 His experiences afforded him the necessary tools to find success as head coach of the Lehigh men’s lacrosse team. Cassese acquired his 100th career win in a game against Patriot League opponent Navy on March 23. Despite the excitement that might come from passing this milestone, Cassese said he viewed it as just another game. Cassese said he appreciates the wins, but the relationships he’s built throughout his experience thus far hold greater significance. 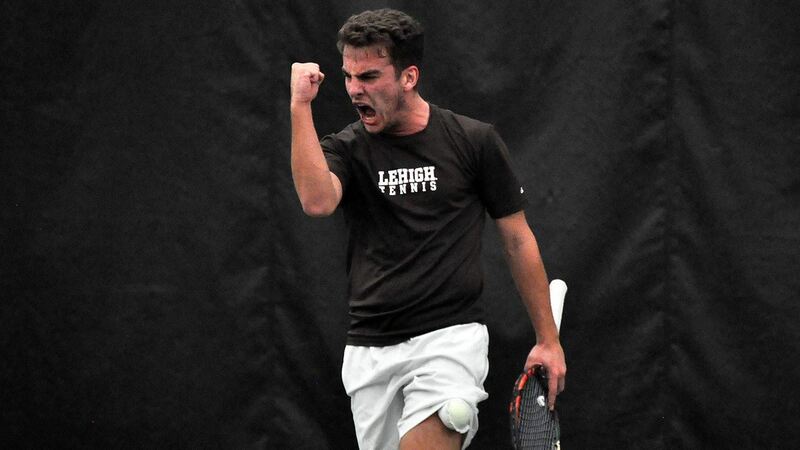 After starting his career at Lehigh in 2007, Cassese has strived to make an impact on each of the players he’s coached. Some of them have even returned after graduation to coach alongside him. Coach Will Scudder, ’11, played his first season as a Mountain Hawk the same year Cassese began his tenure. He said Cassese’s presence immediately changed the atmosphere of the team. After graduating in 2011, Scudder found his way back to Ulrich Sports Complex in 2014 as a coach alongside Cassese. He said he still felt like a player under Cassese because he was unfamiliar with any other way. Now that he’s on the other side of it, he said he’s come to realize a few things about what it takes to be a coach. The things that he and his teammates considered tedious and challenging at the time were actually instances of Cassese pushing them to fulfill the potential he knew they had. Reid Weber, ’16, who played as a Mountain Hawk from 2013-16, said the first word that comes to his mind when he thinks of Cassese is discipline. Despite identifying as a tough coach, Cassese truly cares about each of his players on and off the field. He not only wants to help them develop as players, but also as men. Freshman Mike Monitto said he feels as if his transition to Lehigh has been easier because of the father-like figure Cassese is to the team, as well as the philosophy he lives by. For Cassese, it’s all about the details. Weber said Cassese’s 100th win is a reflection of the hard work and commitment he’s thrown into the program over the past 12 seasons. “He has this thing, ‘becoming a Lehigh lacrosse man,’” Monitto said. “It’s about the little things on campus. No wearing hats inside, always hold the door for people, always be respectful. If the details are taken care of, then everything will work out in the big picture.” It’s sad that it seems as though one of the few places where respect is taught is in athletics; and it’s not always taught there. A team with respect will be winners even if the won-loss record does not reflect the character of the team.